JAMARAM, one of the best german live bands, is performing in Berlin on the 26th of April. The concert is planned to take place in the Festsaal club in my favorite party neighborhood of Berlin- Kreuzberg. 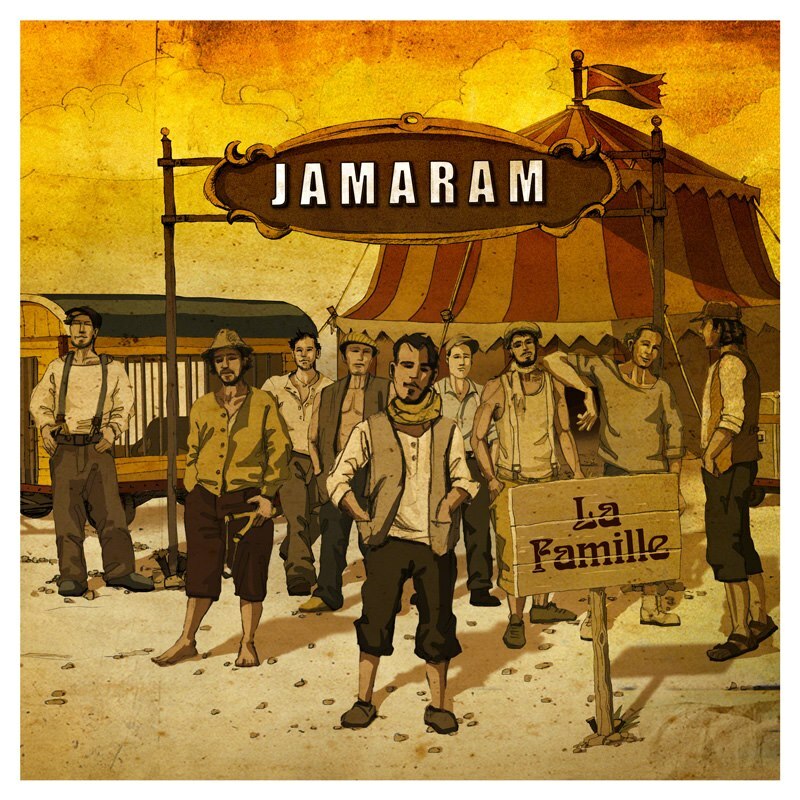 This year they will be featuring their new album record called “La famille” together with some of their best hits from their six previous albums. Their style of music is a mixture of many and it is difficult to pinpoint one name for it. Yet, the music style goes from reggae, rock&roll,ska, balkan, latin, hip hop, afro, swing and many, more. JAMARAM is known to make really great and fun live shows. This year’s performance will be supported by the Berlin newcomer Il CIVETTO, whose music is under the international gypsy folk style. The after party show will be continued by TERRABEATS, PEPE VARGAS and SEEKYOU. Their last Berlin performance took place in front of 1500 people in an open air gig called Karneval der Kuturen 2012. The Berlin performance is part of their European and world tour. JAMARAM is a Bavarian band founded in the year 2000 by the singer Tom Lugo, the drummer Murxen Alberti and the guitarist Samuel Hopf. Today the band is comprised of 9 talented musicians. Their songs are in english, french, and german.